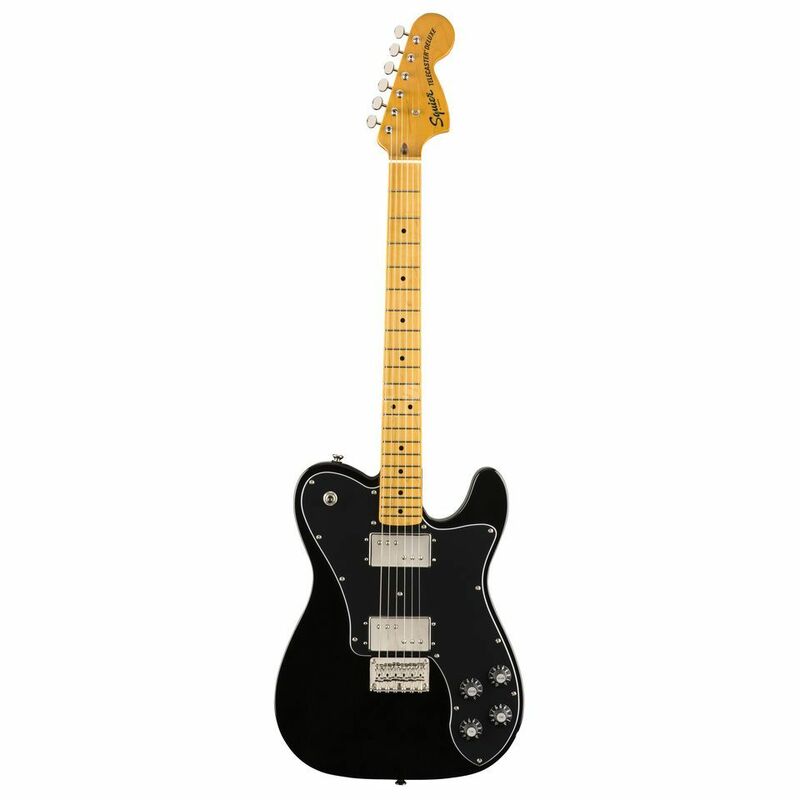 The Squier Classic Vibe '70s Telecaster Deluxe MN (Black) is a 6-string electric guitar taken from the Fender/Squier 2019 Classic Vibe range. The ‘70s Telecaster boasts many features from classic instruments of that era; the 1970s headstock markings, 3-ply black pickguard, nickel-plated hardware, a vintage-tinted gloss neck application and a pair of Wide Range Humbucker pick-ups. The slim “C” shape neck (9.5” radius) makes fretting notes and chords effortless, and the Maple fingerboard is spaced by narrow-tall frets. A 3-saddle vintage-style Strings-Through-Body bridge with Chrome barrel saddles facilitates classic Tele tones. The recognisable Tele twang is represented superbly by the Classic Vibe '70s range, with tones from clean to distortion easily achieved whatever style of music is being made.